This is the epitome of girly. 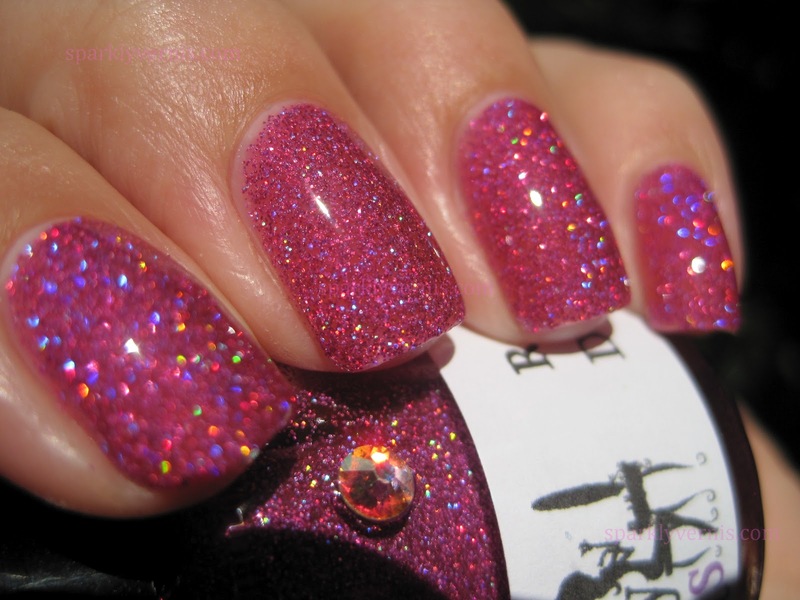 A super sparkly neon-ish pink glitter. The holographic effect is really strong, it's so sparkly! The formula was great, same as Purple Potion (the purple version of Razzle Dazzle), and it dried very fast. You can find Girl Bits here when available, and info on restock here. This is so pretty! 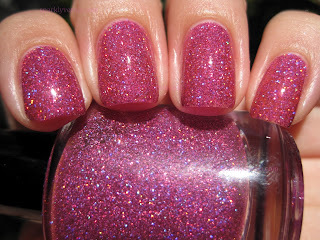 I don't think I've ever seen a glitter like this before either. 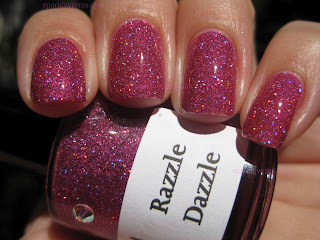 This is one of my all time favorite polishes. I love this on you!